The pair wanted to use their business knowledge to tackle social problems through the firm, GRT Lawyers, and along with their wives they settled on child psychology and the disabled. They established a registered charity, the GRT Foundation, and agreed that 8 per cent of their annual profit would go into forming two social ventures in Brisbane, Child’s Play and Giveability . Child’s Play, a not-for-profit child psychology service is managed by Eliza Vassallo, a trained psychologist. Standen and his wife Jane, who have a teenage daughter with special needs, run Giveability, which helps young people with a disability. Vassallo said the opening phase for GRT in 2011 was particularly difficult, as resources required to grow the legal business were also used to establish the services. “We wanted to build a sustainable, high quality law firm, at the same time allocating large chunks of capital out,” said Vassallo. Their two ventures have the support and administrative horsepower of the law firm at their disposal. For example, all the bookings and administration work for the nine psychologists at Child’s Play is handled by the administration team at GRT Lawyers. It turns a profit of $200-$400 a month and 80 per cent of its clients are bulk-billed. They are looking to expand their psychology service to remote and rural areas via the internet. 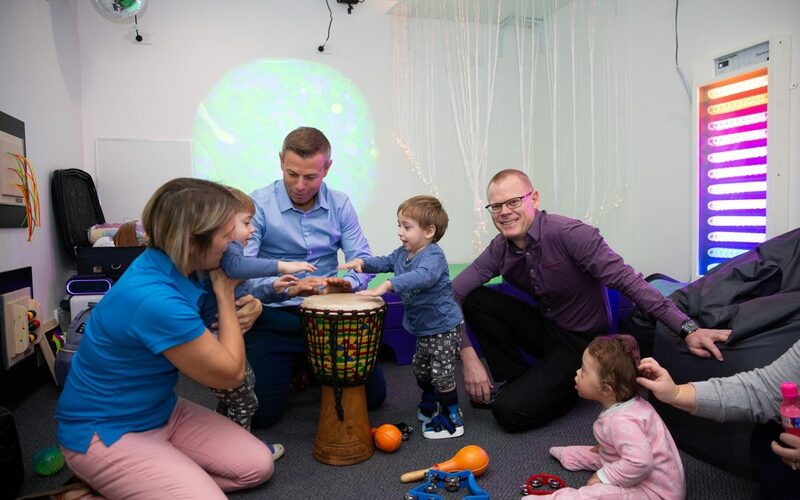 Giveability’s main offering is a sensory room. All the walls are lined with interactive toys and instruments which the children can explore. Professional music therapists provide their services for free. “The room is designed to help kids start to understand their different senses, largely driven through music therapy,” Vassallo said. Giveability also loans out specialised equipment and makes available beach wheelchairs and special needs trikes for public parklands. The success of both the firm and its social ventures has led to international recognition. Vassallo recently addressed the Global Conference on Social Entrepreneurship and Impact Investing at New York University. The more straightforward path GRT Lawyers could have pursued would have been to establish a pro-bono arm of their firm. The National Pro Bono Target in Australia set by the Australian Pro Bono Centre is 35 hours of pro bono legal work per lawyer, per year. Twenty-four of the 25 largest legal firms in the country are signatories. The centre’s chief executive officer, John Corker, said it gave firms “the ability to recruit the best graduates and to have a stronger culture within the firm of people enjoying going to work and a diversity of work”. However, Vassallo believes their tandem structure offers a similarly diverse workload. He says it has also changed how the firm thinks and works.